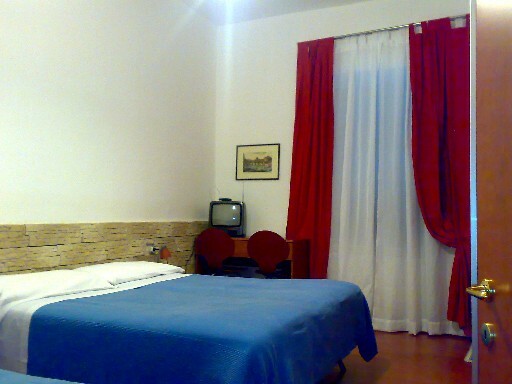 ARES ROOMS is a little nice structure, quiet and confortable, COMPLETELY RENOVATED ON SEPTEMBER 2007, located in the hearth of hystorical Rome, near to Santa Maria Maggiore Basilique. In only 5 min walking, you'll be able to join Railways Main Station + Air Terminal (Termini) and both Underground lines A & B. You'll find a friendly atmosphere at ARES, and we'll be very glad to have you as our guest: to make your stay more safe and confortable, our presence is guaranteed 24h. Ares Rooms is on the border between the historical Roman districts of Esquilino and Monti, at a stone's throw from the ancient Basilica of Santa Prassede (with its beautiful medieval mosaics) and the Palazzo Brancaccio (which houses a theatre with the same name and the Oriental Art Museum). This area of Rome is very vibrant, with many art and handicraft studios and shops, lively restaurants, pubs and wine bars to suit all ages and tastes and attracting a curious, discerning and cosmopolitan crowd. A short walk away are other major attractions, such as the Lateran Complex (Basilica and Cathedral of San Giovanni Laterano, with its Battistero and the Scala Santa or Holy Steps), the Church of San Pietro in Vincoli (which houses the renowned sculpture of Moses by Michelangelo), Emperor Nero's Domus Aurea and the Colosseum, the Roman and Imperial Forums, Piazza Venezia square and many other fascinating and extraordinary historic, artistic and religious monuments and sites. 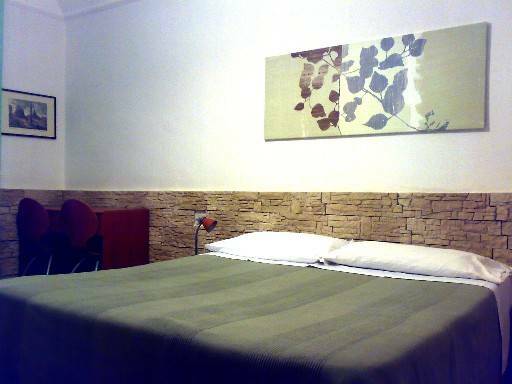 WITHIN WALKING DISTANCE FROM TERMINI RAILWAY STATION, AIR TERMINAL, BASILICA OF SANTA MARIA MAGGIORE. …and many other buses to wherever you want to go in the city.